Last Friday Brother introduced its new multifunctional inkjet printer — the MFC-6490CW. This printer is the first in a new line of “Professional Series” printers. It is also first Brother’s color inkjet to print, copy, scan, and fax on 11 x 17-inch tabloid sized paper. The printer uses 4 separate color ink cartridges for imaging. 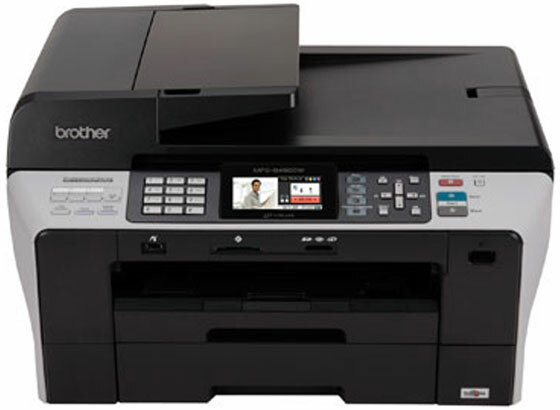 The Brother MFC-6490CW is well-equipped: it has a 50 sheet Automatic Document Feeder, dual paper trays that can hold up to 400 sheets, and Super G3 33.6Kbps fax modem. You can connect this printer via USB 2.0, but it also supports Ethernet and 802.11g-compatible Wi-Fi connectivity. The MFC-6490CW has a built-in 3.3-inch widescreen display and allows for direct photo printing from digital camera media cards, USB flash drives or PictBridge-enabled cameras. The printer is TWAIN-compliant and compatible with Mac OS X 10.2.4 or later. The bundled software includes Presto PageManager OCR. The printer is available at an estimated street price of $299. This entry was posted on Saturday, December 27th, 2008 at 10:30 pm	and is filed under Brother, inkjet, multifunction. "Top 5 Color Laser Printers in the Market"